Mantis Machines 1-8 - Make Your Bot! 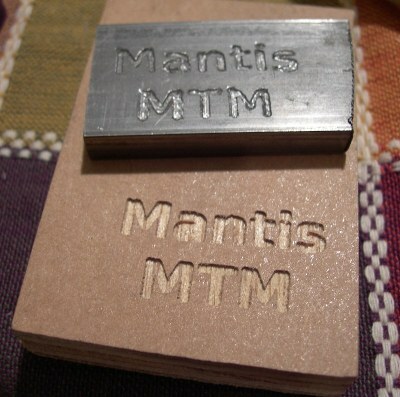 This is the eighth version of the sub $100 Mantis milling machine. It is the first to incorporate self aligning bronze bearings, and also features several design changes that make it more open, more rigid, and significantly speedier than version seven. 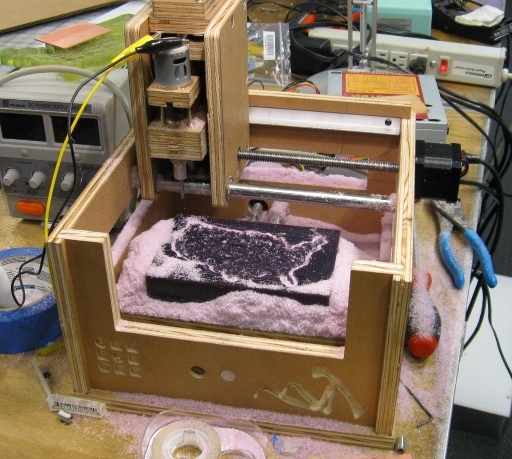 Version eight is a stepping stone towards the version nine goal of not requiring a CNC mill/router for construction. To this end, many slots and precision parts have been eliminated from the design. The machine is constructed from 1/2" MDO. It is exactly kinematically constrained by 1/2" precision steel rods and 5/8" ball bearing pinch rollers. Bipolar NEMA 17 stepper motors with about 40 oz-in of torque turn 3/8"-12 leadscrews. Each axis is capable of travelling at about 60"/s. This machine is the first Mantis mill to use bipolar stepper motors, and also the first to use the A3982 stepper drivers. Motion control is provided by EMC. Version eight was originally fitted with a version of the low cost spindle. However, an Ilan spindle was retrofitted to improve rigidity. This change is not reflected in the current CAD files. The seventh version of the Mantis mill was the first version to successfully mill circuit boards, wax molds, and even mild steel. Version seven is constructed from 1/2" MDO. It also uses the exactly kinematically constrained design first introduced in version six. The linear system consists of 3/4" precision rods, 1/2" pinch rollers, 3/8" leadscrews, and unipolar stepper motors. 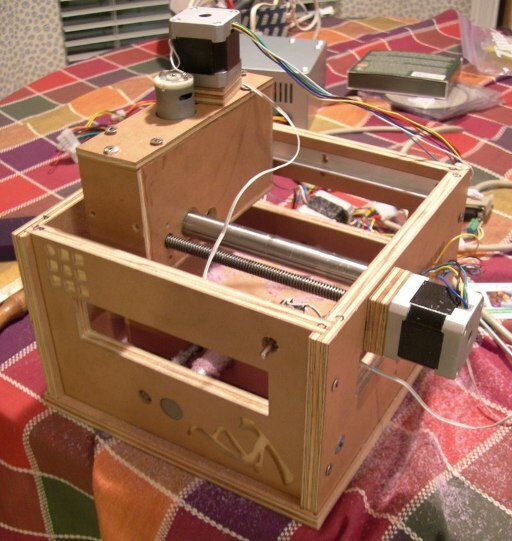 The motors are controlled by a variant of the brute force stepper driver. Maximum speed is about 16.5"/s. Version six has some rigidity issues that can be traced to its version of the low cost spindle and its Z axis design. These issues reduce the quality of cut and cause it to break end mills more often than it should. Except for some pieces of version six that live on in seven and eight, these machines have died a natural death. Versions 1-5 were a series of "two parallel rods per axis" machines that borrowed heavily from Johnathan Ward's MTM-AZ design. Unfortunately, I lack Johnathan's voodoo skill that makes the Shopbot (our CNC router) cut accurately enough to build a over-constrained design. The resulting slight misalignments of my rods meant that none of these machines could actually move. Version six was the first exactly kinematically constrained design. It was intended to overcome all of the alignment problems encountered with the previous versions. Visually it looked very similar to version seven. 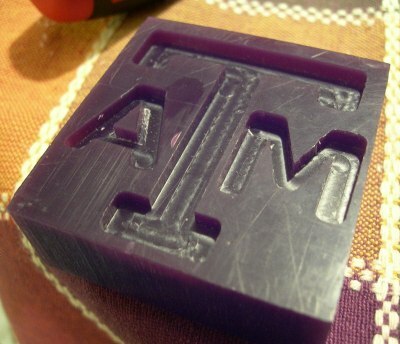 It was the first machine to successfully make something, an engraving in MDO.